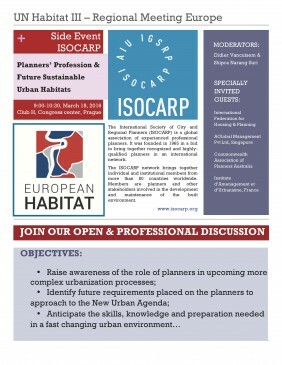 ISOCARP organised one of the side events in the European Habitat Conference in Prague (Regional Meeting Europe of Habitat III), on 03/18/2016. Shipra Narang Suri, vice-president of ISOCARP. 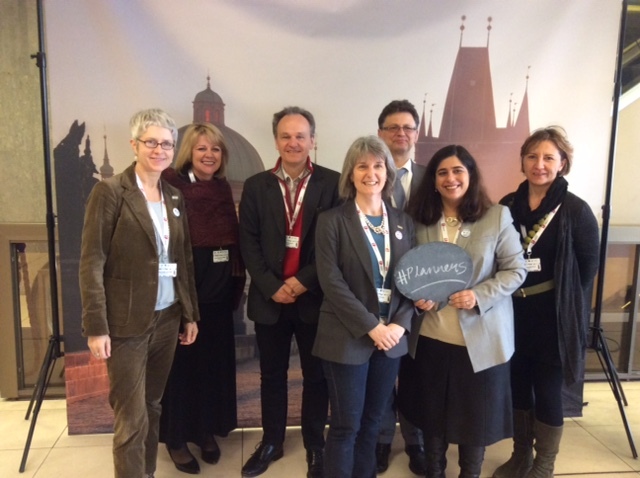 ISOCARP´s Habitat III Task Force had previously reviewed the preparing papers of the New Urban Agenda (NUA) within the group of experts and planners from all over the world. The aim of the panel was to discuss the role and future of the planning profession, what space planners want and should engage in the new global urban environment? What are the changes we need to make in education, theoretical, institutional and professional work on local, national and global level? What do we expect from the New Urban Agenda (NUA) and the Sustainable Development Goals (SDG) of the UN Habitat III Conference? A report on the event is in preparation and will be available on the ISOCARP website to all members.